These sparkling diamond shaped crystal beauties are sure to catch your guests eyes and capture their hearts when they arrive at your event and find their seating assignments so lovingly displayed. 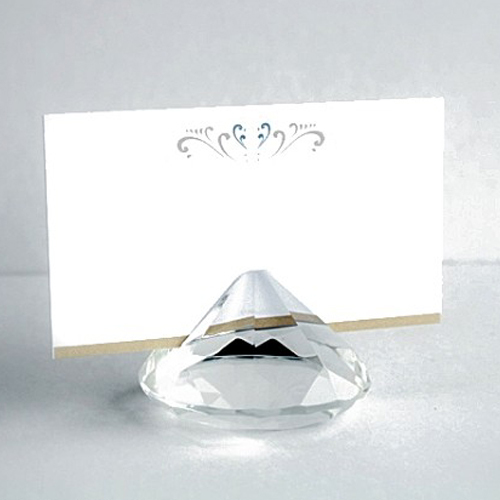 Each place card holder measures 3cm Height x 4.75cm wide features a glistening multifaceted diamond shaped crystal glass base with slot to hold the place card which is also supplied also perfect for holding photos, notes and more. Bulk packaged in a box of 12 and a designed placecard is included.